Rett U Live Orlando, FL- Reading and Writing for Students with Complex Needs- Learning the Strategies and Resources that Work for All! Join us for a day focused on real-world, hands-on practice with communication skills, strategies and the academic areas of reading and writing for students with complex needs. Click JOIN THIS EVENT below to register! This full-day workshop will begin with ensuring communication access is woven throughout everyday activities while modeling and practicing with partners using Rett University’s 4-Grid Communication Book and Tobii Dynavox’s SonoPrimo, soft-tech language grids. Later in the day, we will address the academic skills of reading and writing for students with complex needs that are often thought to be impossible for individuals with Rett Syndrome and other complex disabilities. The strategies and techniques that have been developed and used with students worldwide are proven to get kids actively participating in reading and writing. Techniques for reading to and with kiddos while modeling communication will be demonstrated in videos and then put into practice during the workshop. Participants will actively use ABC and Core Word Communication Flipbooks to build a short story with a partner, focusing on understanding and improving upon the interaction needed to cultivate solid communication and educational exchanges. 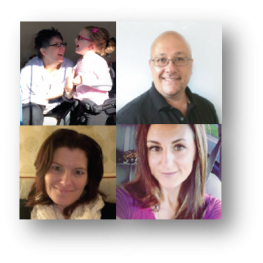 Additionally, Patrick Brune, MS CCC-SLP from Tobii Dynavox will be on-hand to allow you to explore Tobii Dynavox AAC solutions that are helping students be successful at home, in school and life. This workshop will also feature the Tobii Dynavox Learning Lounge where you will have the opportunity to ask questions and gain hands-on experience with Tobii Dynavox solutions! NOTE- Private consults are also available on Wednesday, Feb 22 and Thursday Feb 23 with Susan Norwell and Kristi Craddock. Click JOIN THE EVENT to register. Seating limited so register by clicking the link below!